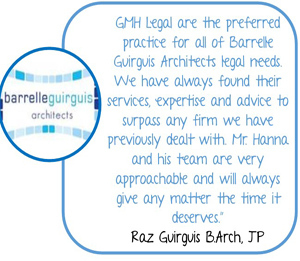 At GMH Legal, we understand that the payment of money from one partner to another can be a very sensitive issue. 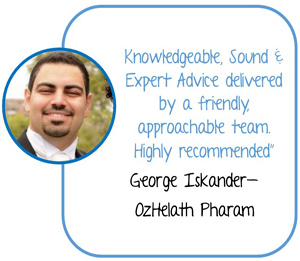 Our lawyers have the skill, knowledge and experience required to guide you through the complicated child support laws. Ideally, we will help you and your former spouse or partner design your own mutually agreeable child support arrangement which you feel is best suited towards the individual needs of your children. We can offer you expert legal advice about the sorts of arrangements which are best suited to your given circumstances, and formalize these arrangements through a legally binding child support arrangement. If we cannot help secure a voluntarily mutually agreeable child support arrangement, we will then assist you to understand the complex child support laws and any possible legal ramifications these laws may have on you and your children. The bulk of children from separated families are covered by the Child Support Scheme, which is in turn administered under the Child Support (Assessment ) Act (1989). Under this Act, the primary carer of a child can make a claim for financial assistance from the other parent to assist in raising their child. In turn, it is incumbent on the Child Support Agency to accurately administer the child support arrangement and assess the amount of child support that should be paid from one parent to the other. The Agency’s assessment on the amount of child support payable will depend on all the particular circumstances, including each parent’s income, the number of children involved, and the living arrangement of the child’s parents. If you feel that the assessment of child support payable by the Child Support Agency has resulted in an inequitable outcome for you. 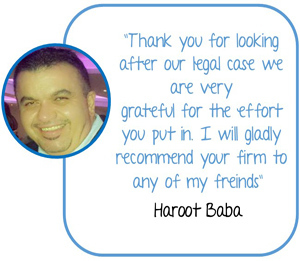 our experienced and empathetic family lawyers will advise you thoroughly on all your legal options. In addition, our lawyers and barristers have a wealth of experience in the Family Court and Federal Magistrates Court and will vigorously represent you and your children’s interests if it is necessary to commence legal proceedings. Under the Child Support (Assessment) Act, child support is financial support paid for a child by a parent to the other parent or carer of the child. Carer can include grandparents, other relatives or friends who have the child in their care. The Department of Human Services (DHS), formerly the Child Support Agency, is a government agency that looks after child support payments. It administers the child support arrangements and assesses the amount of support which should be provided. For more information, please refer to the Department of Human Services’ ‘Child Support’. Parents are responsible for financially providing for their children, even if they have never lived together. The liability to pay child support arises when there is an ‘administrative assessment’ from the Department of Human Services (DHS), or the parties have entered into a ‘child support agreement’ registered with the Department of Human Services (DHS). The decision is based on each parent’s income, the number of children and their living arrangements. Even if a parent does not spend any time with his/her child, they will still be responsible for making child support payments. Periodic payment – amount to be paid at a weekly, monthly, annual or other periodic interval. Non-periodic payments – Where the court or agreement makes an order for non-periodic payments (eg payment of school fees to third parties), it must state whether or not these will reduce the annual rate of child support payable. Lump sum provision – a payment made to the other parent as a “credit balance” to be used to meet ongoing liabilities. There are also non-agency payments, which arise when the Registrar credits the value of non-cash payments or the provision of services to a payee or to a third party against a child support liability that is registered for collection. The Department of Human Services (DHS) does not have power to enforce child support payments against third parties. If you would like a general estimation of how much child support is likely to be payable in your situation, please refer to the ‘Child Support Online Estimator’ on the Department of Human Services (DHS) website. Parents may decide to make an agreement about the amount and form of child support to be paid as an alternative of an assessment made by the Department of Human Services (DHS). Parties can arrange the payment of child support privately or ask the Department of Human Services (DHS) to collect child support. Parties may also agree to end the limited child support assessment earlier or one party may apply to Family Court to end the agreement. The Court may find that a limited agreement is not legal if it was made using threats or pressure. Please refer to the Department of Human Services’ ‘Child support agreement’ section. The parties involved can ask the Department of Human Services (DHS), to review the amount of child support. It may be possible to have the assessment altered if the circumstances of the parties have changed since it was made or the parties believe that it does not reflect their current situations (change in employment, change in time spent with child etc.). For any change of assessment the parties must apply to the Department of Human Services (DHS). The Department of Human Services (DHS) will then send a letter to the parties letting them know of any changes made to their child support assessment. 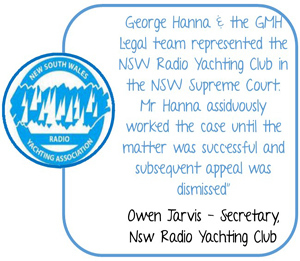 Parties have 28 days after the original decision to lodge an objection to lodge an objection, outlining the grounds relied upon. The Department of Human Services (DHS) will then contact the parties to let them know what decision has been made about the objection. If the objection to the DHS assessment was not successful, parties can appeal the decision to the Social Security Appeals Tribunal (SSAT). If you feel that the assessment of child support payable by the Child Support Agency has resulted in an inequitable outcome for you, our experienced and empathetic family lawyers will advise you thoroughly on all your legal options. 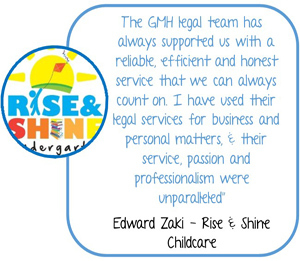 In addition, our lawyers and barristers have a wealth of experience in the Family Court and Federal Magistrates Court and will vigorously represent you and your children’s interests if it is necessary to commence legal proceedings. Once parties notify the Department of Human Services (DHS) of their intention to appeal the review of the Department of Human Services (DHS) decision, the Department of Human Services (DHS) will provide the SSAT and the parties involved with a detailed written explanation of its decision. The SSAT will then inform the parties of an appointment time for a Hearing. The Registrar is required to consider the objection and any response within 60 days after the objection is lodged. Once the review has been determined, the Social Security Appeals Tribunal (SSAT) will provide the decision to either disallow the objection or allow it in whole or in part and the reasons for the decision. Parties can appeal the Social Security Appeals Tribunal (SSAT) decision but only on a question of law. Appeals as to the refusal to grant a time extension and ‘care decisions’ can be made to the Administrative Appeals Tribunal(AAT). Child support payments can be transferred privately between the parties, such as payment by direct debit to a bank account if parties agree to such practice. Such arrangement do not need to be in writing. Alternatively parties can arrange for the Department of Human Services (DHS) to collect and enforce payments of child support payments whether payments are to be made under an administrative assessment or a child support agreement. If parties have a private collection arrangement and the latter breaks down, parties can ask the Department of Human Services (DHS) to start collecting the liability. Parties must be informed that the Department of Human Services (DHS) can only backdate collection three months. The payee can also make an application to a Court to enforce collection of outstanding payments while the case is still registered for collection with the Department of Human Services (DHS). Please refer to the Department of Human Services’ ‘Collection and enforcement methods for child support’ section. Once an administrative assessment of child support has taken place, either parent may make a “Change of Assessment” Application to make a departure from the administrative assessment because of special circumstances. It is important to note that departure decisions cannot reduce the assessment below the minimum rate and cannot change the assessment for a period more than 18 months before the applications was made. Their high costs of enabling them to spend time with or communicate with another child or person they have a duty to maintain. The parent’s responsibility to maintain a resident child significantly reduces their capacity to support the child. Please refer to the Department of Human Services’ ‘Changes of circumstances that affect your child support’ section. Court can make orders to enforce the arrears, to suspend the arrears or to discharge them. The assessment and collection of child support is primarily the responsibility of the Department of Human Services (DHS). Child Support (Assessment) Act 1989 – deals with the assessment of child support and jurisdictional issues. Child Support (Registration and Collection) Act 1988– deals with collection and enforcement of child support. There are many cases where one parent is living in Australia and the other parent is living overseas. Australia has many reciprocal child support arrangements with overseas countries. These are referred to as reciprocating jurisdictions. The Department of Human Services often has a role in collecting and enforcing payments in these matters. The receiving parent applies to the child support agency of the country where they live and that authority sends a request to the Australian Department of Human Services (DHS). Some countries will only accept child support arrangements outlined in Court orders but many countries such as New Zealand, England and the US will accept assessments of child support made by the Department of Human Services (DHS) in Australia. 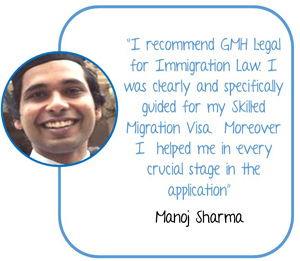 GMH Legal Solicitors are experienced in dealing with international child support arrangements. Do not hesitate to contact us if you wish to know more about the list of reciprocating and non-reciprocating jurisdictions and the enforceability of your child support payments. For more information, please refer to the Department of Human Services’ ‘Child support while living outside Australia’ section.